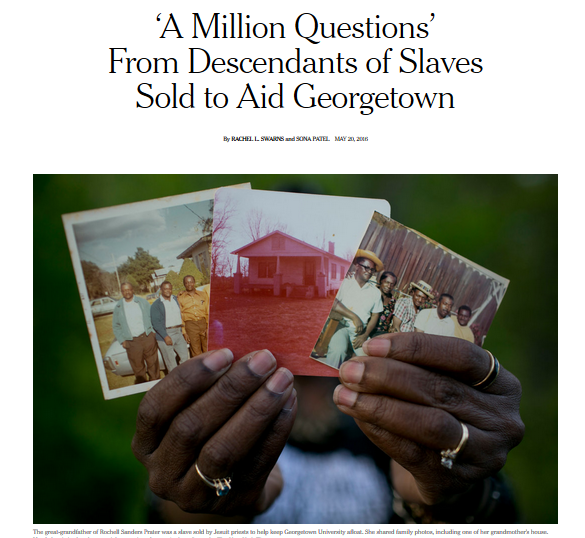 African-Americans have long lived with unanswered questions about their roots, missing branches in their family trees and stubborn silences from elders reluctant to delve into a painful past that extends back to slavery. This month, scores of readers wrote to us, saying they had finally found clues in an unexpected place: an article published in The New York Times. The story described the sale of 272 slaves in 1838. The men, women and children were owned by the nation’s most prominent Jesuit priests. And they were sold — for about $3.3 million in today’s dollars — to help the college now known as Georgetown University stay afloat. 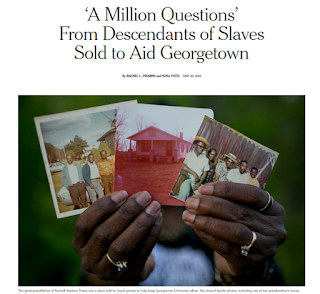 We asked readers to contact us if they suspected that their ancestors were among those slaves, who had labored on Jesuit plantations in Maryland before being sold to new owners in Louisiana. Copyright © Ahmed E. Souaiaia. All rights reserved.. Theme images by MichaelJay. Powered by Blogger.